06-07-2017 - VIDEO - FOX4's "GOOD DAY TEXAS"
It’s one of the top 10 country music movies of all time. Friday night, the creators of the movie, “Pure Country,” will celebrate its 25thanniversary. We sat down with screenplay writer Rex McGee, who took a moment to take a look back with us. He says, when asked to write a script for the country movie classic, he had no idea where to even begin. “And I found out very quickly who George Strait was at the time,” said McGee. “And I hung out with him back stage during his concerts, and talked to him, we went out to lunches together. Pure Country features one of the biggest stars in country music. It was George Strait's debut role as an actor, and at the time, McGee didn't even know who George Strait was. Rex was given simple but specific instructions by legendary producer Jerry Weintraub on how to write the screen play for the movie. “It's got to have ten songs in it, and George has got to rope something in the film,” said McGee. And in the film, there are 10 songs and George ropes a cow. But, McGee says other than that, he didn't know what he was going to actually write about. He went to several rodeos and country poetry readings, but still couldn't get going on a script. That was until he moved back home to Cleburne, Texas, after spending 20 years in Los Angeles. He says that move gave him the spark he needed. “It's been a long road, but it's been a satisfying one, and I can't believe I'm still talking about Pure Country, 25 years later, said McGee. The movie was filmed all over North Texas, several scenes in Fort Worth, including Will Rogers Auditorium, Cowtown Coliseum, and Billy Bob's Texas. And for the past 10 years, said McGee and his team have been working to turn the movie, into a musical, which McGee is co-producing. And an interesting fact, the movie title, “Pure Country,” wasn’t McGee’s choice. He originally planned to title the film, “Unwound,” which was George Strait’s first hit record. Friday nights 25th celebration for the movie will be at the Western Kountry Klub in Midlothian at 6:00. 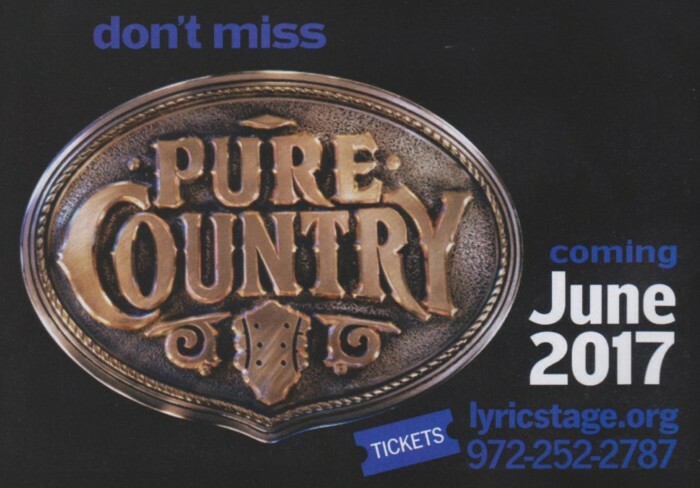 The Premiere of “Pure Country: The Musical” is set for June 9th at the Irving Arts Center. 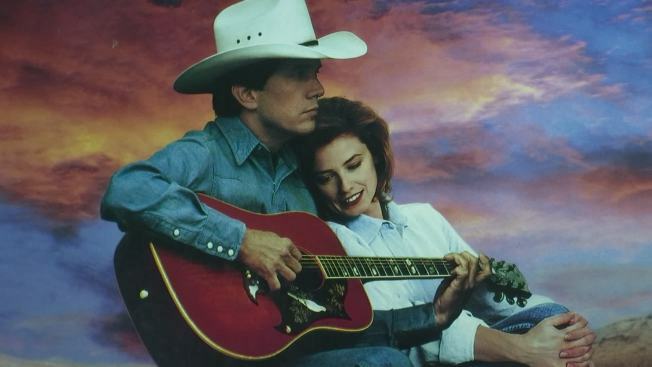 George Strait in ‘Pure Country’ (1992). Warner Bros. The instructions Rex McGee received when he was hired to write a screenplay for what became “Pure Country,” the 1992 George Strait movie, were simple but vague: Make sure it has 10 songs and a scene where Strait ropes something. But McGee, who had only 12 weeks to write the screenplay, eventually would have an epiphany that allowed him to break that creative block. And for several weeks in 1992, “Pure Country” filmed in Fort Worth, Cresson, Midlothian and other North Texas locations. Concert scenes were shot at the Will Rogers Auditorium, Cowtown Coliseum, Billy Bob’s Texas and the Tarrant County Convention Center. Strait was spotted eating enchiladas at the then relatively new Dos Gringos Mexican restaurant and chowing down at Michael’s Cuisine on West Seventh Street in Fort Worth, and hundreds of locals appeared in the movie as extras or in bit parts. 04-25-2017 - Broadway and Recording Artist HARLEY JAY to star in PURE COUNTRY, THE MUSICAL! 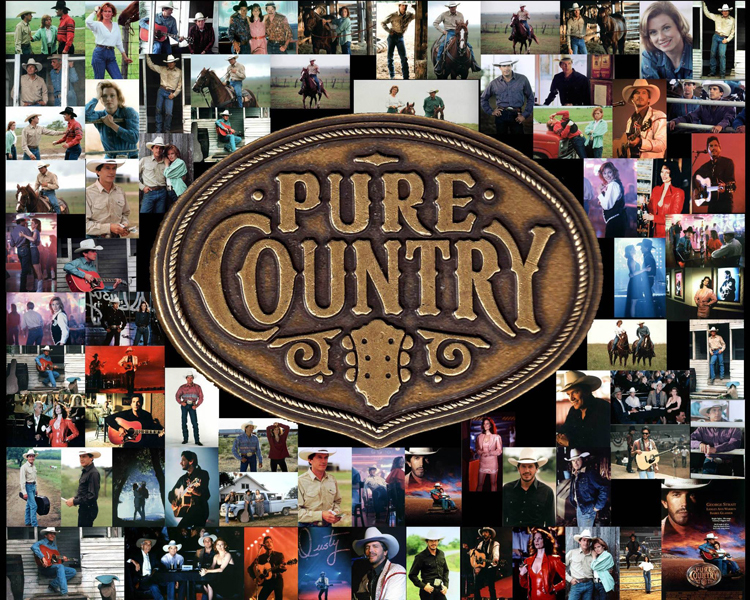 02-19-2016 - Pure Country, The Musical to premiere June, 2017 in Irving, TX. LYRIC STAGE at the Irving, Texas Arts Center has just announced the June, 2017 World Premiere of “PURE COUNTRY, The Musical,” adapted from the beloved Warner Bros. film starring country music legend GEORGE STRAIT. Lyric Stage is Dallas County’s only locally produced, professional musical theater company. Dedicated to the development and preservation of the American musical, it has produced 17 world premiere musicals and two Off-Broadway productions. Under the leadership of Founding Producer STEVEN JONES, it has become North Texas’ most honored theater, winning 35 Dallas Theatre League Leon Rabin Awards and a special citation from the Dallas Theater Critics Forum for excellence and innovation.